Social Media in Enterprises, it works! Today I attended a Social Media round table-session with spanish online business celebrities like Enrique Dans, Tristán Elosegui, Roberto Carreras, Daniel Canomanuel, Lasse Rouhiain, and Daniel Canomanuel at IE Business School. The panel was moderated by Ana Nieto Churruca as an introduction to the presentation of her new book “La Web en las Empresas 2.0“ (Web in the Enterprises 2.0) produced together with Lasse Rouhiain. The event was conducted in spanish, hence, I would like to share the most relevant insights about this event for non-spanish speakers and for those that could not attend the event. As the Social Media panel organizer of the 2nd edition of the IE Digital Forum next March 15th @ IE Business School, I am passionate about these topics and about how Marketing 2.0 has emerged that fast. It was only about 4 years ago, when I first directly interact with Marketing back at Siemens. Today for example, I was proud to see how Siemens has launched a creative campaign in Facebook called “/answers“. This is a great example on how multinationals are using Social Media channels wisely and professionally. For me, Siemens is providing a clear message that even the biggest b2b corporations can create innovative ways to connect with their communities. Enrique Dans – Prof. at IE Business School – Blog: enriquedans.com, Twitter: @edans (126k followers). To the question “Is he a celebrity?“, he clearly answered that even though he has tremendous 126k followers online he is by no means a celebrity. “No one in the streets stops me to ask for an autograph“. Enrique did became famous online after hard work and years of experience on the field. He has been blogging almost everyday the past 8 years! He quoted Woody Allen when saying that “success after 10 years of work comes overnight”, and that of course “luck” is part of the process as well. About the question regarding what is key element for enterprises in order to be successful with Social Media, he mentioned just one word: Empathy. It comes all about relationships and how companies interact with their customers. Companies should ask what can they offer to their community. Each community is different and each company has to figure it out by themselves. Uni-directional marketing belongs to the past! Its time for some real marketing. Finally, during the Q&A session, Enrique brought a very interesting point regarding the ROI of social media. “It is tricky and please don’t make the fool mistake to try to ROI-ize Social Media campaigns to its full extend.” “Not everything that you do with technology is related to ROI”. “Try to find metrics that make sense and that will somehow convert to ROI in the long-term. So far it is still not clear exactly how it converts and nobody knows how to do it”. Roberto Carreras – Social media strategy strategist, Plan B – Blog: robertocarreras.es, Twitter: @RobertoCarreras (8.6k followers). Robert talked about the success of his Plan B project, which is a “Social music discography” concept where music is created by the people for the people. “Tech was always there, but before you needed to know how to program PHP and HTML to create content online. Now due that it is extremely easy to create content (any kind! ), creating has hit mainstream”. In his blog, he mentions how Social Media is not only a new channel but also a new way of working! Lasse Rouhiainen – Marketing 2.0 expert, Video Marketer – Blog: lasserouhiainen.com, Twitter: @lasseweb20 (11,2k followers). As a video expert, Lasse explained the importance of video marketing. “Videos are hardly replicable”. “Video marketing is a most in the marketing plan”. He mentioned 2 different types of videos: 1. The standard videos about products/services and 2. video from the people of the company like employees or the CEO. His experience showed that real employees have more impact on consumers. Finally, he said that it is important that small and medium enterprises (SME) should start to use more videos as a tool. SME are faster, flexible and can produce videos with fewer resources that could have greater impact. Daniel Canomanuel – eCommerce Director of Telepizza – Blog: blog-e-commerce.blogspot.com, Twitter: @Canomanuel (2k followers). Daniel, the only one representing a consumer good company talked first about the importance of Social Networks. In Spain, there are more than 13 million Facebook users alone! (35% from a 40 million population!) He also stated that customers are switching more and more to the online channel (thanks to technology!). Because he believes that companies have to be where their customers are, Telepizza is now present in all online channels: Web, Mobile Web, App (iPhone, Android, Blackberry) and even they have just launched a Facebook Store to buy pizza without leaving Facebook, and with 50% discount! They are also in Twitter, Tuenti (the spanish Facebook) and are experimenting with foursquare as well. Each channel with its own strategy. To one of the question of the audience on how did he implemented his strategy? Daniel mentioned that he first started with some experiments with support of 3rd parties. After seeing the potential of social networks, they decided to internalize the process. Because the web is broad and Telepizza’s strategy is to be present in all channels, they currently use a mix of internal and external resources. Finally, Daniel brough an interesting topic when mentioning the new entrants like Groupon and how Google’s monopoly has ended. Telepizza has currently 75k fans en Facebook and overall around more than 150k loyal customers (followers) in all Social Networks. His advices: “Make the community more dynamic, cause fans don’t come alone”. “Social media strategy has to be clear”. “Be ready to listen good but also bad reviews”. “Measure, measure, measure performance”. Disclaimer: it was quite of a challenge to listen in spanish and transcribe to english simultaneously. Please let me know if I have interpret or express any translated quote from some of the speakers incorrectly. My first contact with Marketing was almost 4 years ago when I joined the Corporate Supply Chain Management at Siemens and was responsible for the global procurement strategy for marketing spend. My first mistake towards the word “marketing” was my association with “advertising”, which I consider not a challenging-enough task and was the reason why I rather studied engineering in the first place. Very soon I discover how wrong I was. I missed completely the fundamentals of marketing like understanding the market, creating a customer value proposition and developing a marketing strategy and plan. Advertising was just a minor part of the implementation part, in better words of marketing guru Seth Godin, “Marketing has to come before the product, not after”. 4 years later and some MBA classes afterwards, I think to know what Marketing really is. Or do I? Well, I better do, cause I am now co-founder of foodieSquare (an online marketplace that connect food lovers or “foodies” with unique and authentic european artisan producers) where I am leading the marketing silo. For this reason I desperately had to become a marketing expert in weeks and very soon I was able to identify that there was this old traditional Marketing or Marketing 1.0 (which I just couldn’t identify my self with) and there was the future of marketing, the new marketing or as I call it Marketing 2.0. You should know more about me to understand why I I was asked to co-found foodieSquare to become the head of “new marketing”! My passion in life is technology and I do feel to understand it like no other by experiencing the impact of technology in my personal life. I just like to feel the way the new technology impacts me first, hence I try as much technologies as I can. This enables me to understand the effects of technology on consumer behavior and the consequences of new technologies on business and society in general. I am very grateful to had Enrique Dans as professor of Information Systems at IE Business School. I realize that I am not crazy to have this passion about technology and understood why I was the few of my class to see that things had changed. In my view, there is nothing greater than to see such big technological changes occur in such a short time and it fascinates me to think about all the new business opportunities around it! But there is a catch: You have to be willing to change yourself in order to lead change. Now, I can see more clearly how technology has become the main driver for marketing and how things have changed for marketers. I liked to call this new marketing “Marketing 2.0” and there are some few people in the web that also use this concept even though it is not institutionalized yet. This is why it is important to describe it a little bit better. Lets start with what is not. Marketing 2.0 is not digital or online marketing (Please avoid the mistake I did when I thought marketing was advertising!). Yes, it’s true, the new marketing was triggered mainly by the creation of the internet and all the new technologies that had evolved since then (i.e. Social media). Things have changed, marketing is different now and technology has allowed us to pick and choose what messages we want to get and when we want to get them. No wonder why Internet is outpacing TV for time spend and this is because now more and more people are connected to the internet, and most recently, to social networks like Facebook. “We are going to see this huge shift where a lot of industries and products are just going to be remade to be social” (Mark Zuckerberg during an interview with 60 minutes, see minute 10:40”). And this is already happening. An HBR article from this december issue states that social technologies are helping—if not forcing—brands to form new kinds of relationships with customers. Other study says that Facebook is been used by 81% of Y-Gen users daily and there are studies that say that 63% use social media to engage with brands and more than 50% say that Facebook, blogs and brand videos affect their opinions about products. So, if you are a traditional marketer, you are in a big trouble cause you are not going to reach your customers as you used to do. For me, the new marketing is about understanding how consumer behavior is shifting and hence, how the marketing approach has to change. We now know that marketing is not advertising, so Marketing 2.0 is not about creating online campaigns, digital banners or viral videos (Something being viral is not, in itself, viral marketing) either. Marketing 2.0 is more about adapting new ways of interacting with consumers that will result on a shift in the marketing process, culture, strategy and plan! It is now all about engaging communities by collecting more and better data and using it efficiently to add value to the community. Hence, the fundamentals of Marketing are still there (Creating Value, Capturing Value and Sustaining Value) but the way we now segment and target the market and how we do positioning has changed drastically. You cannot longer market to the anonymous masses, because they’re not anonymous and they’re not masses! Not been part of the “Marketing 1.0” world has been a clear advantage for me, cause I am not biased. Patrick Spenner mentions for example that the problem of traditional brand-management models aren’t up to the current task is because they are designed for an outdated organization structure and depend on people with the wrong skill sets. If I had to describe Marketing 1.0 in a short sentence I would summarize it as the one way communication channel build by companies, not communities. Creating good content: you have to have something worth to talk about to your community that brings value. It doesn’t help to advertise your company in forums or send promotional emails. Probably they will be ended in the spam email folder or you will be removed from forums. 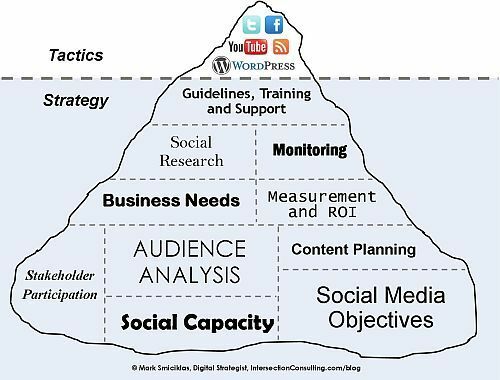 Because only relevant and useful content will be shared by user of your community, focus in content is the prio 1 in the Marketing 2.0 world. Bringing value to the community: Creating content that is valuable for the community is crucial and hard to do. You just don’t create a community but rather you participate in one. Hence, the first thing to do is to understand your community. You also have to understand the actual communication landscape in order to select the right tools to interact with your community. This can be for example: blogs, twitts, emails, advertising (online, offline), Facebook App, Interactive Ads, Semantic web, Tablet and Mobile Applications, etc. Shifting the Consumer Decision Journey (CDJ). David Edelman in his last HBR article comes to the point by defining the new consumer decision journey: consider, evaluate, buy, enjoy, advocate and bond. He mentions how for marketers, the old way of doing business is unsustainable and that why they need to realign their marketing strategy and budget with where consumers are actually spending their time. Aligning the internal organization: It is a common mistake to think that technology has only revolutionized how companies and consumers interact and fail to recognize the internal organization implications for companies. As described by Patrick Spenner, in “Why you need a New-Media Ringmaster” traditional organization have several department in contact with the customer like customer support, corporate affairs, marketing, etc. In the current hyper connected world the chances of missing what customers really wants is high under such organization structures. Roland Smart, a Marketing 2.0 consultant, says it even clearer. “Marketing 2.0 is about opening your company to the community but also about opening windows between your organizational silos so they can talk to each other and share resources”. The latest article from the McKinsey Quarterly regarding Web 2.0 and networked enterprises also confirms, based on empirical analysis, the importance of pushing toward fully networked enterprises. They suggest companies to integrate Web 2.0 technologies into employees day-to-day activities, to break down the barriers of organizational change and finally and most important use technology to connect customers, business partners and employees! Clear winners are fully networked (internal & external) enterprises. The empirical evidence suggest a strong correlation between this companies and a greater market share. Develop (or hire) the 2.0 skills: Reorganizing wont help much if the wrong people are designed the wrong marketing strategies and plans. Marketing 2.0 require people not only with digital savvyness but also those who can following skills mentioned by Patrick Spenser: integrative thinking, lean collaboration skills and high speed! Furthermore, it is crucial to develop a total new function within companies brought up to the media by Scott Brinker, marketing technologist blogger and President and CTO of ION Interactive. 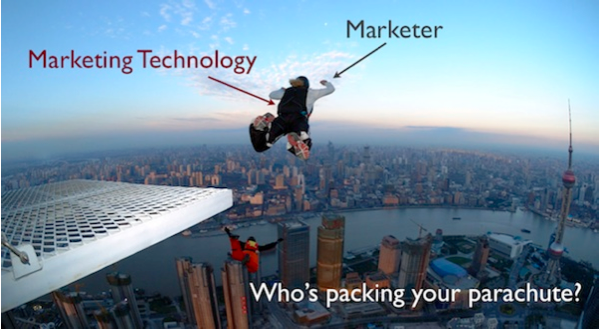 The new role is called the Chief Marketing Technologist (see slides from Scott here), a marketer who is also a technologist and act as a hybrid between Marketing, IT and reports directly to the Chief Marketing Officer. His/her mission is to “help the CMO translate strategy into technology (and vice versa), Choreograph data and technology across the marketing organization and fuse technology into the DNA of marketing practices, people and culture. Brinkers says, “Marketing most champion its own technology”. So, for startups like the one I am founding it is clear that the role of marketing can only be found with the new marketing principles. At foodieSquare, acting as a Chief Marketing Officer and Technologist, my tasks will be to understand the implication of current and future technologies in the community and interact with them in the most efficient way in order to deliver a consistent message that is credible that will enable to build trust and loyalty with an emotional engaged community. For establishes enterprises the things to do are clear: reorganize, develop 2.0 skills, hire a CMT and make marketing own the technology, enable interaction within employees in order to better interact with customers. It is crucial also to focus on content and on delivering value to the community, gather as much data as possible and identify the right tools to use with you customers. Finally, get all this information and experience learned and put them in you marketing strategy and plan! Scott Brinker predict that in the next 5 years we will see an explosion of marketing technology. 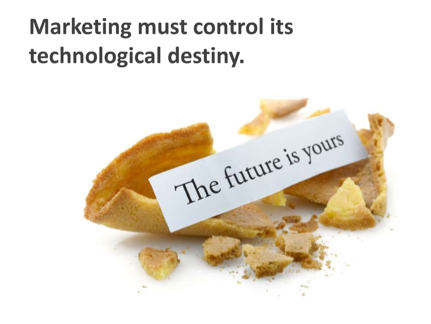 I guess he is right when he says that Marketing must control its technological destiny! At foodieSquare, I will make sure we will! You are currently browsing entries tagged with Siemens at Guerson Meyer's Blog.